Scan, Sign & Send! 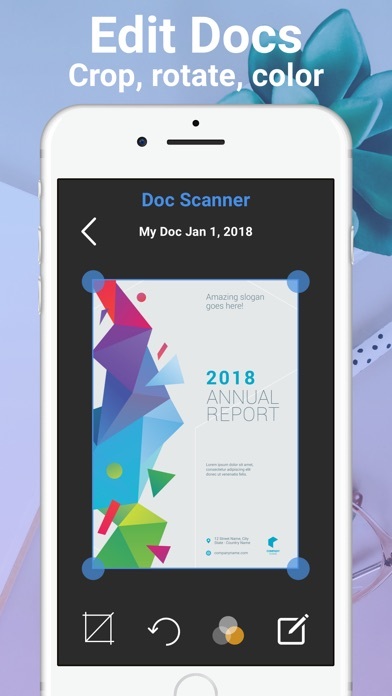 "Designed for iOS 11 & iPhone X"
Turn your iOS device into a portable scanner! 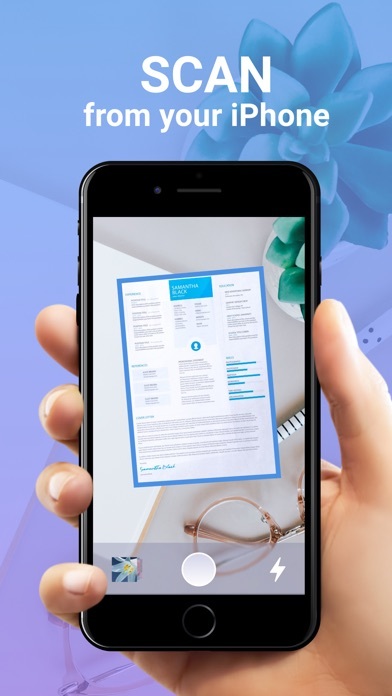 Scan and edit any document, put your e-signature on each page and share it in PDF or JPEG format. * Has both single & batch mode for multiple scans. 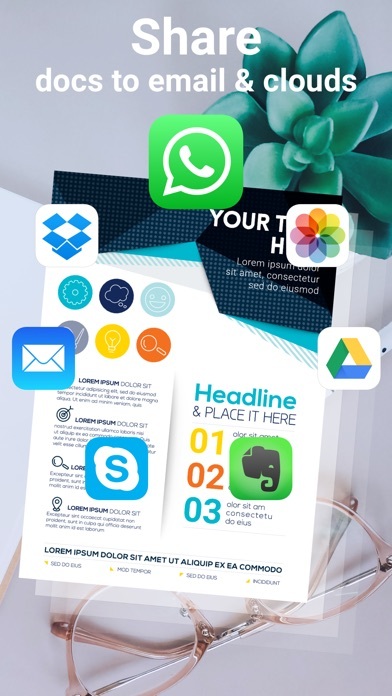 * Add stamp onto your files. * Change effect by adding grayscale, B&W or color. 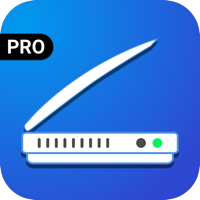 * Share via email and upload scanned documents to cloud services like Dropbox, Evernote, Yandex Disk, Box, Google Drive or OneDrive. * You can cancel subscription anytime cancelling your subscription through your iTunes account settings. This must be done 24 hours before the end of subscription period to avoid being charged. The cancellation will take effect the day after the last day of the current subscription period, and you will be downgraded to the free service. * Your account will be charged for renewal within 24-hours prior to the end of the current period and the cost will be identified. 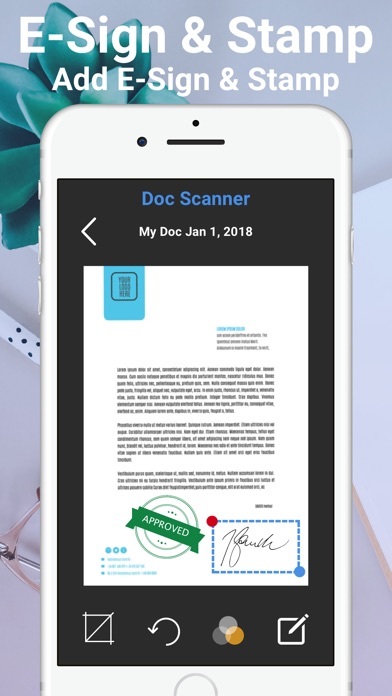 We will constantly keep Docs Scanner updated for our users by adding new features & fixing bugs, so please write your review by rating us, it will help us to improve the Docs Scanner.